If you've ever stopped and studied people out in public, you've probably noticed how many rude folks there are. People used to strive to be polite and show their best side to the public, but it seems as though many of them don't care what anyone thinks anymore. Parents used to teach their children good manners, but it appears that's not the case now. Even adults manners have suffered lately. What they may not realize is that bad behavior leaves a lasting impression on anyone who sees them. Some people pretend no one else in the world is affected by their behavior, actions, and words. But they are. It's always a good idea to start by treating others as you want them to treat you. Don't ask rude questions that are none of your business or say something that will embarrass others. And if someone does something nice for you, say, "Thank you," to show your appreciation. That shouldn't be too difficult. When you're talking on your cell phone in public, remember where you are. Don't discuss anything that the rest of the world has no business knowing, like what your doctor said about your infection, your Brazilian waxing appointment, or the argument you had with your boss after you didn't finish your work. Wait until you get home – or at least in your car – before discussing such private stuff. What did these people ever do before texting and social media existed? They probably had "real" relationships with "in person" people. If you are physically with someone, don't ignore him to text someone who isn't even with you. Getting too close to someone in line at the store is rude. When you're waiting for someone to finish her transaction with the clerk, stand back a bit. Everyone needs personal space when dealing with anything financial – even if it's the purchase of a candy bar. You should also look away when the person is entering information on the keypad. Dress for the place and occasion. Follow the dress code at work and other places where people typically wear nicer clothing. Remember that "casual Friday" at the office isn't an excuse to be a slob at work. It's nice to be comfortable when you go to the store, but at least take a few seconds and change out of your pajamas. Nightwear is not appropriate for anything other than sleeping or lounging around your house. You don't have to dress up, but you can at least slip into a comfy pair of jeans and a T-shirt before you walk out your front door. When you go to a nice restaurant to celebrate a special occasion, change out of the clothes you wore to mow the grass. And don't wear a short skirt or cleavage-baring top to a PTA meeting. Don't ignore someone who is disabled. When you spot a wheelchair-bound person in a grocery store, ask if you can help get something off a top shelf. That should take you about a second, and it will be good for everyone. Never park in a spot designated for a handicapped person, unless you are handicapped. Don't ever forget who paved the way for you in this world, and show respect for those who are older than you. Someone you may now consider old and feeble was once the person who fed you, wiped your bottom, and dried your tears when you were little. If you know someone who lives in a nursing home, you might learn something if you stop by for a short visit once in a while. You know how frustrating and annoying it can be when someone lets their children misbehave in public. Whether they're throwing a temper tantrum or running around and disrupting others, they get on other people's nerves. Before you bring your children to any public place, talk to them about their manners. It can get annoying to have to to repeat yourself over and over, but that comes with the territory of having offspring. Consider it paying now for what you want to reap later. Not only will others appreciate your young children's good manners, you'll have better adult children in a few years. Dining manners seem to have been left behind. It's embarrassing to see how rude folks are in restaurants anymore. 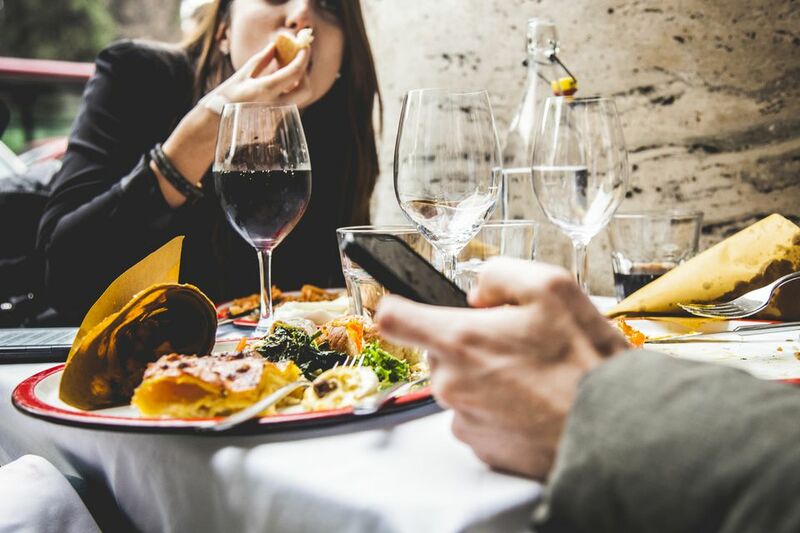 Learn proper table manners before you dine out. An occasional elbow on the table isn't as bad as chewing with an open mouth or smacking, but it's wise to keep your free hand in your lap. Also, don't handle something on the table at the buffet-style restaurant and then tosses it back into the chafing dish. That's just gross. Don't ignore good gestures. After you receive a gift, send a thank you note. You don't have to write pages and pages. Simply thank the person, tell how you plan to use the gift, address the envelope, put a stamp on it, and stick it in the mailbox. If you absolutely don't have the two minutes to spare, send an email. Email isn't the best method, but it's much better than not acknowledging the gift at all. Always send an RSVP when you are invited to an event. Not doing so can create extra work for the host when he or she has to call to ask if you received your invitation. There is no reason to let expletives fly out of your mouth when you are out in public, especially when there are children present. When you lose control of your language, people will tune you out or get angry. Most people respond much better to polite language than anger and obscenities.